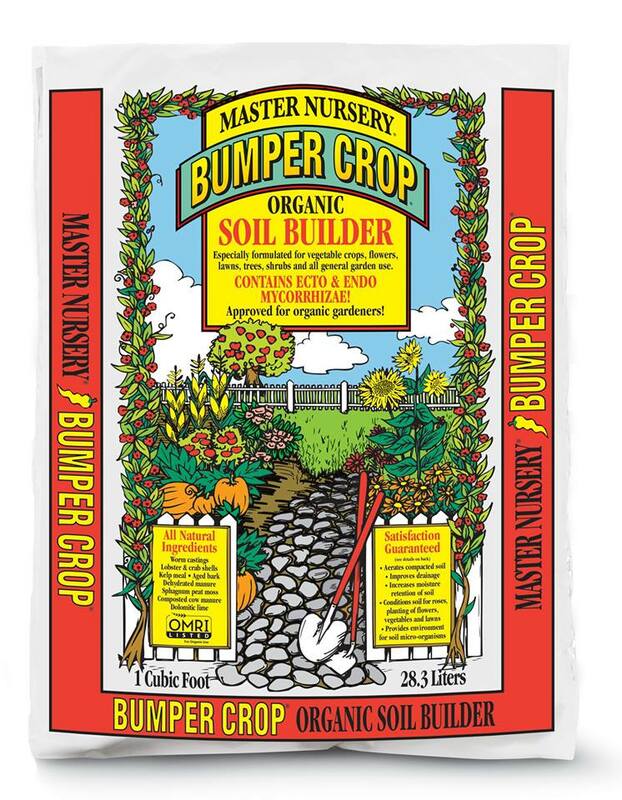 Our Bumper Crop Soil Builder will be on sale BUY 3 GET 1 FREE while supplies last starting Saturday, March 23rd! Bumper Crop can GREATLY improve the quality of your garden soil. It will loosen clay and other hard, compacted earths, improving drainage, planting texture, and aeration. It's OMRI Listed for Organic use too. We recommend laying down a 3" layer of this stuff so you can count on a 2 cu. ft. bag covering 8 square feet. Cheers to Spring!